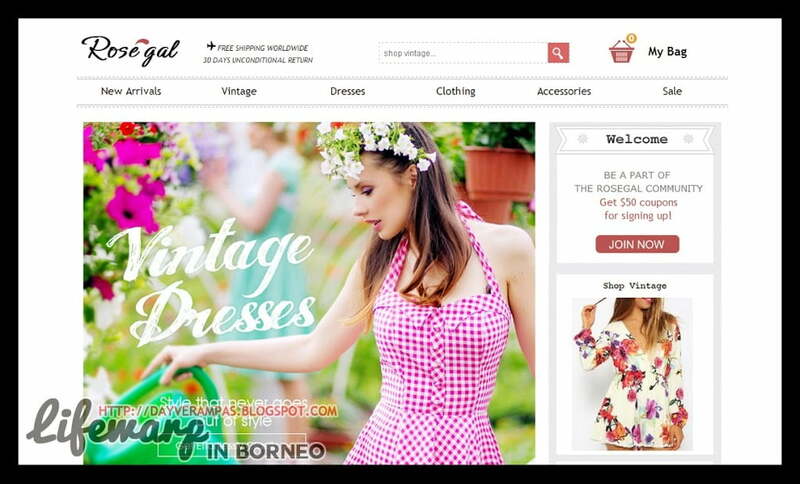 RoseGal is an online fashion boutique that offers both new and vintage line of clothings. It was started by a group of friends who all share a love for vintage and modern fashion. They soon established an their own online boutique that accept orders from nearly every country across the global, covering North and South America, Europe, Asia, Africa, Oceania, and more. RoseGal accepts PayPal, and credit cards. Their preferred shipping partners are DHL, UPS, FedEx, IB, and EMS. RoseGal is currently offering Back To School, and Labour Day coupons to all its customers all over the world. Feel free to use the codes below. Enjoy 6% OFF + Free Shipping with Site-wide Coupon. Get All Vintage Apparels and Accessories at RoseGal! Back To School Sale! Take $4 OFF $50. Get Wrapped Up for the New Term! Labor Day 6% OFF. All Free Shipping! Sign up and Join RoseGal Family, and get $50 Coupon for Free! 50% OFF for All New Arrivals! Also Enjoy Free Shipping and 30 Days Unconditional Return for Vintage Fashion at RoseGal! Hottest Dress! 60% OFF + Free Shipping for Hottest Elegant V-Neck Loose-Fitting White Chiffon Dress! RoseGal is an Online Fashion Shop for Vintage Styles and Retro Trends Offering Worldwide Free Shipping and 30 Days Unconditional Return. Dresses Under $20! Free Shipping and 30 Days Unconditional Return for Vintage Dresses at RoseGal!